The 10th international conference on zinc and zinc alloy coated steel sheet (Galvatech 2015) was held by the Association for Iron & Steel Technology (AIST) on May 31 – June 4, 2015 in Toronto, Canada. SEASI conference & exhibition, organized by the South East Asia Iron and Steel Institute took place on May 25-28, 2015 in Manila, Philippines and gathered more than 500 delegates from all over the world. 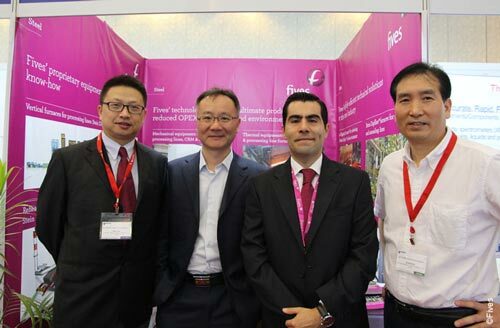 Fives was entrusted by Baosteel with the design and supply of two Stein Digiflex® vertical annealing furnaces for its new 1550 mm cold rolling mill project in Zhanjiang, in southeastern Guangdong province of China. On January 29, 2015 Fives Stein Shanghai, China was certified as a ‘Hi-Tech Enterprise’.